Do me a favor, ok? 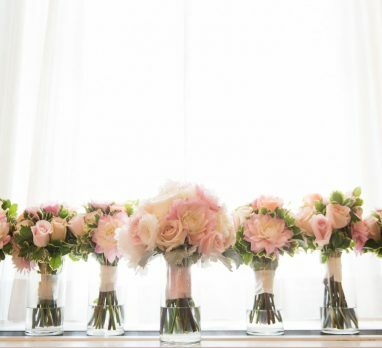 Pretty, pretty please leave room in your wedding budget for lighting. Did she say lighting? Yes, lighting. What’s the big deal with lighting? Well, it’s only the easiest and most cost-effective way to totally jazz up a space. NBD. Want to dress up those ugly banquet room walls? Want to feel like a superstar with a dance floor spot light? Want your guests to feel like they are in a completely new world? The answer to all of these questions is lighting, my friends. And speaking of friends, my pals at EF Lighting are the best in the biz. Whether it’s creating something completely unique or making your Pinterest dreams come true, Amanda and her team love bringing a client’s personality alive through lighting. Their process is to make the lighting design fit the style, budget, and desires of their couples – not the other way around. Not only will you love working with Amanda and her team (nicest.people.ever. ), but they’ll help you completely transform your wedding space with their lighting know-how. Here are six ways how! Uplighting has been super popular for years, and I’m so happy about it. It’s pretty self-explanatory…uplights are LIGHTS that shine UP and they’re normally cast vertically on a wall from the floor. 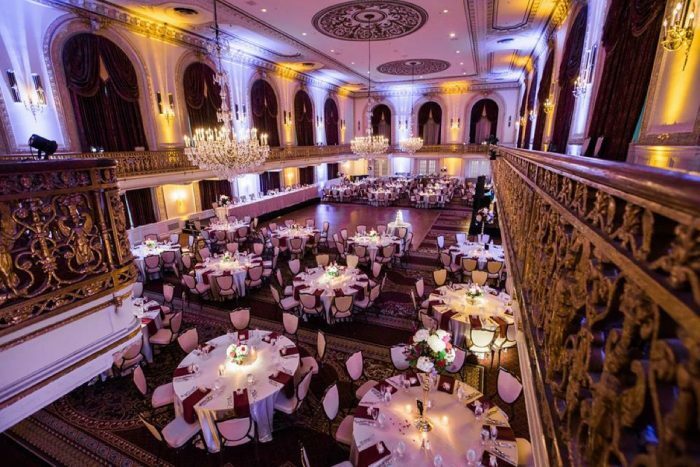 Whether it’s a splash of color or even just a soft white wash to give the room a glow, uplights can make a venue look and feel completely different. They create an ambiance, which is exactly what you want! A gobo is metal plate that projects a certain image or words on to a surface. Ever see a bride and groom’s name or initials on the dance floor? That’s a gobo, and it’s one way to get totally personal with your lighting. A custom-made gobo can show off just about any image or phrase that you want. Keep it simple with your first names and wedding date or get really fancy with the filigree pattern and custom monogram from your invitations. 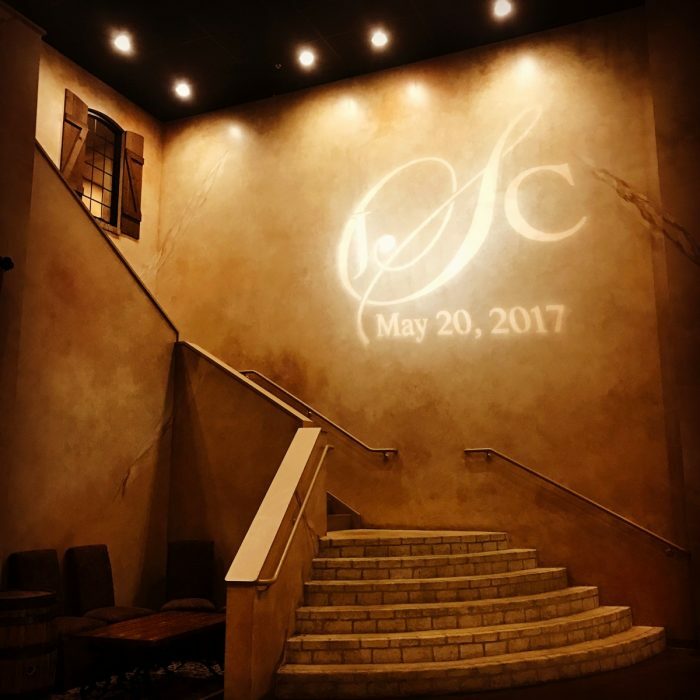 Either way, a custom gobo really allows you to put your own mark on the occasion. You’ve spent THOUSANDS of dollars on the flowers, linens, cake, etc. etc. etc. Do you really want all of that to fade into a dark background and be unseen by everyone? Highlight all of your details with pin spots! 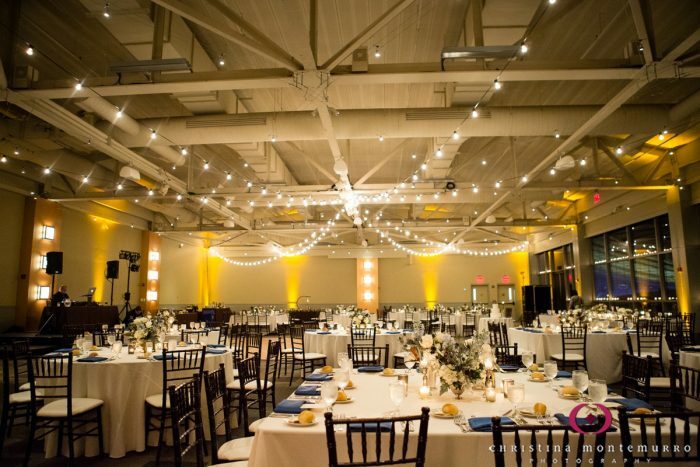 These tiny lights hang from the ceiling and are literally a personal spot light for all of your wedding details. Your four-tier buttercream cake might be pretty now, but it’s going to be ABSOLUTELY STUNNING when showcased under one of these babies! 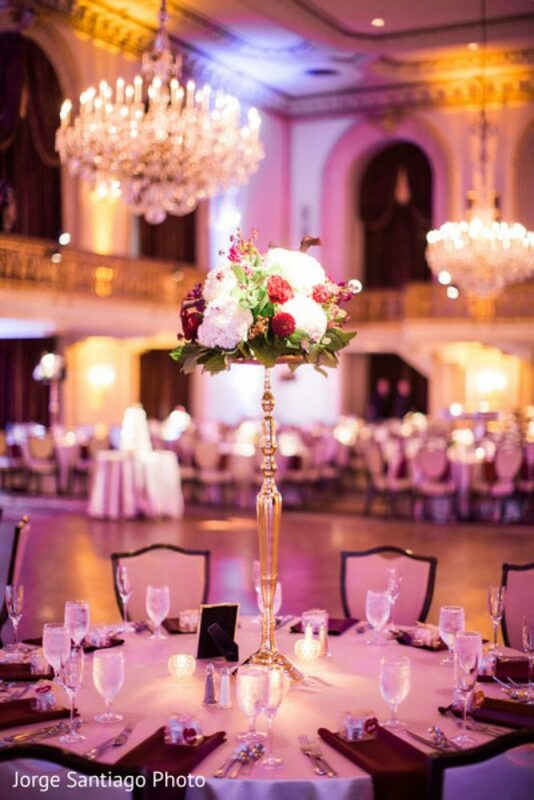 Elevate your first dance as newlyweds with a traveling spot light. 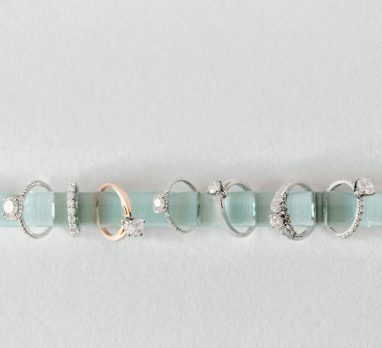 It’s very Cinderella-esque and you’ll feel like the star of your very own show. During those three or four minutes, all of your guests will be staring at you anyways. Make sure they can actually SEE you! Don’t let this special dance fall into the shadows. Instead, really call attention to it with a spot light that follows every move. Add a whimsical look to your space with hanging bistro or string lights. 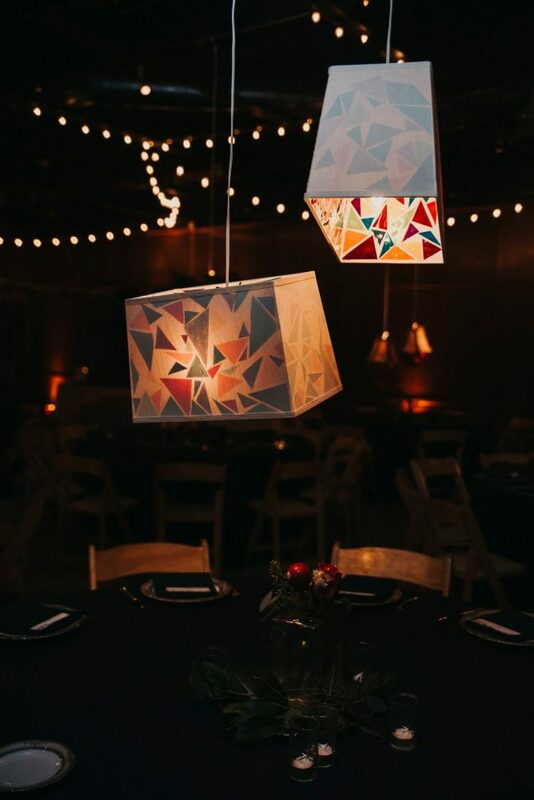 Strung above your dance floor or even hung vertically behind your sweetheart table, these lights bring a touch of romance and fantasy no matter where they are. Really want to make jaws drop? Go for a statement lighting piece that I guarantee your guests have never seen before. 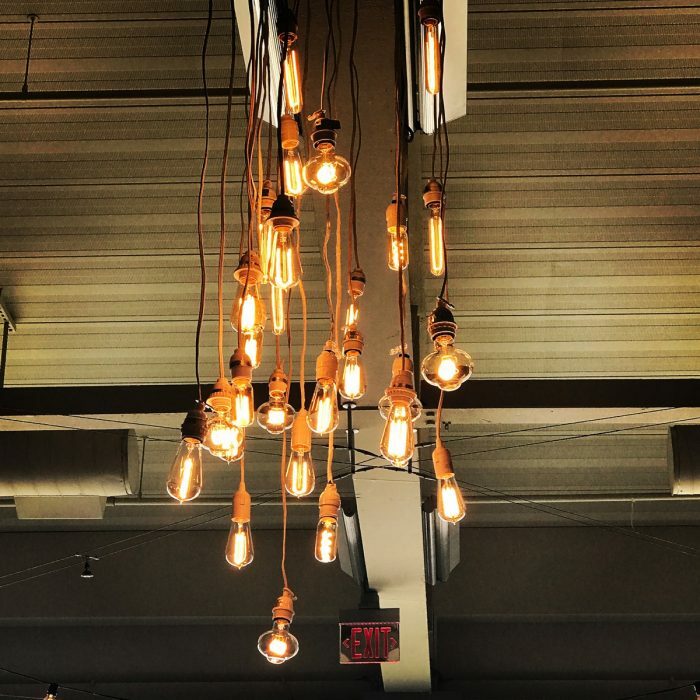 From Edison bulb chandeliers to colorful, glowing lampshades suspended over dinner tables, EF Lighting has a ton of cool, funky ideas that will WOW. As a photographer and videographer, I’d like to add about thirty exclamation points to everything above. Having great lighting in a room makes our job so much easier! You know how photographers are always gushing about “ohhh that light!” well it’s just as true indoors. Lighting is KEY! 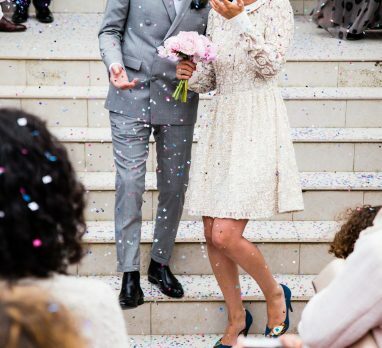 And if you’re having an indoor ceremony – lighting is key too! Your guests want to see you, and it will save your photographer having to use flash on every single photo. Light your ceremony! !! yesssss! i’m so glad you agree, christina! 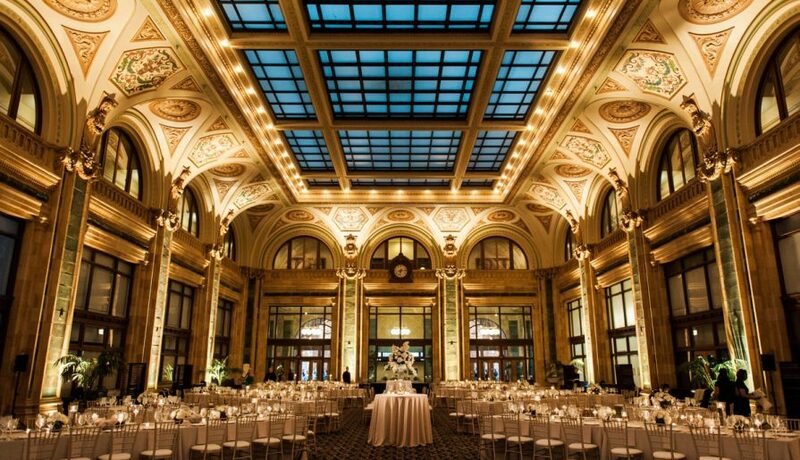 lighting is so important, not only for that day, but also for the photos that will be cherished for years to come!